We all know why I chose Amsterdam to study abroad. Because of the weeee….kend excursions! * All jokes aside, today is the day I realized that I will be living in Amsterdam for just over four months. While someone, who isn’t my mother, reading this may be thinking, “Only three days to go and you just figured this out!? Shouldn’t you be packing! ?”, don’t fret. I’m packed, and have been for the past three weeks. I have been traveling around Europe with my sister, and am currently writing this (first!!) 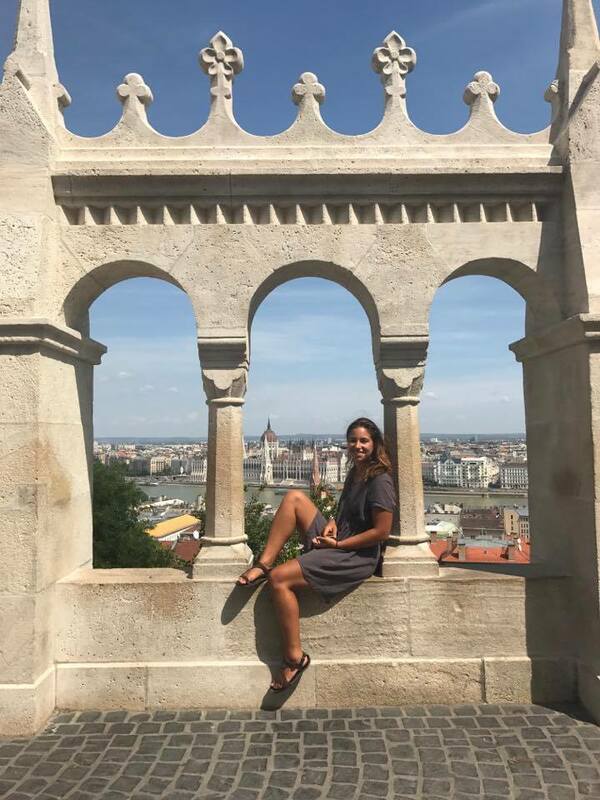 blog from a youth hostel in Budapest, Hungary. 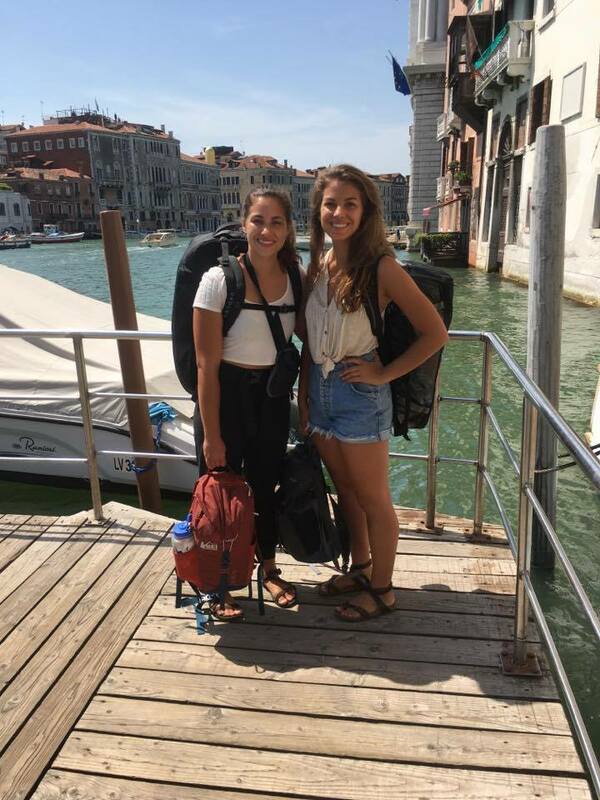 My sister and I leaving Venice, Italy to travel to Athens, Greece (featuring all of our gear for 5 months of travel and 3 different climates!). While traveling, I’ve easily become accustomed to telling people I meet my little spiel. “I’m from Minnesota, go to school in Washington state and will be studying in Amsterdam for the next four months.” But until recently, it was hard for me to actually conceptualize that I was going to be living in Amsterdam. I think the true moment of realization was the seven unread program e-mails with subjects in all caps telling me specific things to bring and important documents to print out before I “leave for my trip.” …. Oops? Not only had I already left the states but I definitely didn’t pack a printer. Traveling before my semester abroad, and talking to fellow travelers about their experiences in Amsterdam, has really helped me get my mind into a comfortable headspace. So while I may not be fully prepared for my program with printed documents and specific items, I have a flight there, and I know that I can figure it out as I go. In just three weeks, I have met many travelers from around the world that have told me that I will love Amsterdam and who are jealous of my opportunity to study there. 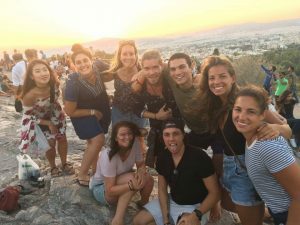 While I may feel a bit unprepared for studying in a foreign country, there is a certain level of discomfort and uncertainty that comes with traveling that I have become accustomed to, and am learning to love. While three days away seems unreal, and is a little nerve-wracking, I am unbelievably appreciative of my opportunity to not only study in another country, but to do it in Amsterdam. *Credited joke to my sister, the older and questionably more mature sister. Just a few of the many friends I met along the way in Athens, Greece. At Fisherman’s Bastion after a Free Walking Tour (highly recommend for wherever you travel! I went on one in Athens too) in Budapest, Hungary. This entry was posted in Uncategorized on August 18, 2017 by Mary Kampa.